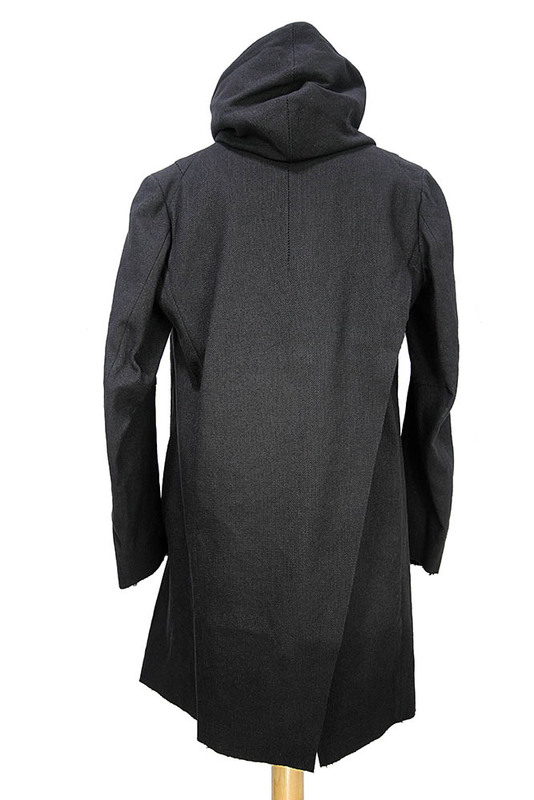 Masada long black hooded coat with cowl neck in a linen wool mix. 5 button fastening (including button at collar). 2 side pockets. Raw edged cuffs. Cross-over panels at the rear. Fully lined. Stunning coat of the very highest standard of production and design.